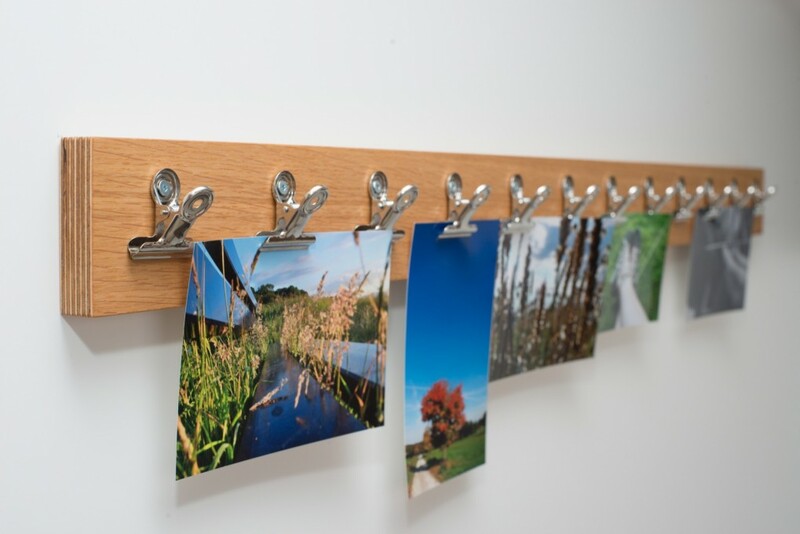 Have your own little picture exhibition with our photo holder. 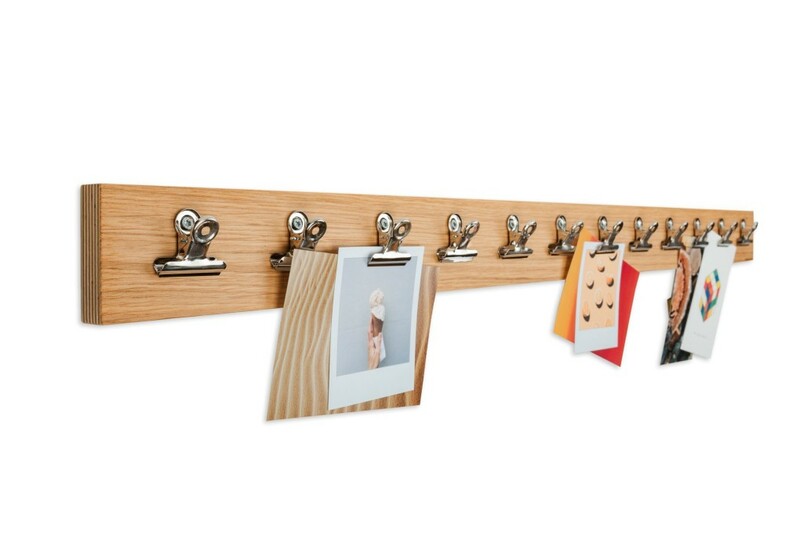 Just clip on photos, postcards, and the like with the help of bulldog clips; then stand back and reminisce. 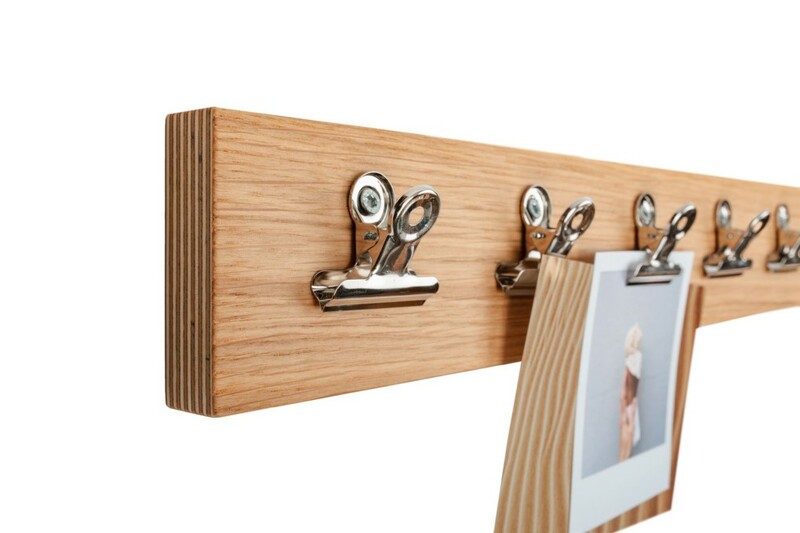 The bar is made from multiplex with a real oak wood veneer surface. 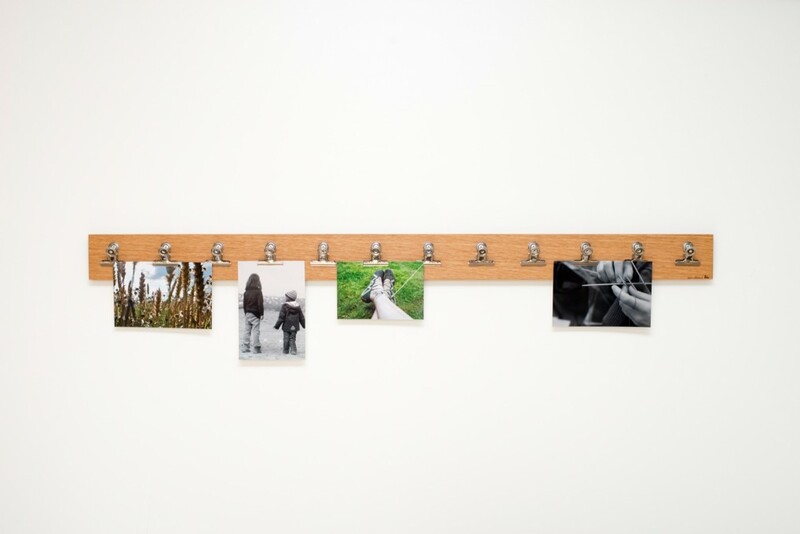 The bar comes with 12 bulldog clips and can be hung either landscape or portrait. 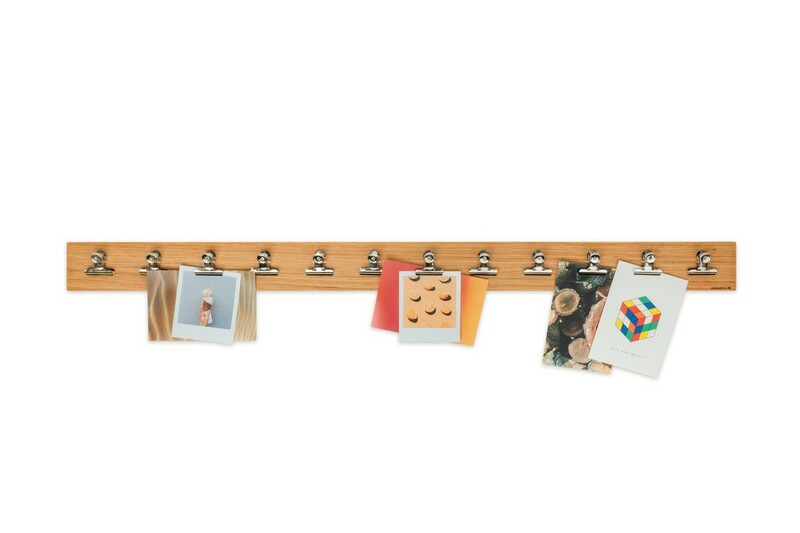 You can also use this picture rack as a unique way of displaying your kids' artwork.